Early this morning the Moon transited New into the astrological sign of Taurus. This New Moon is in the Fixed sign of Taurus with Sun at mid-point of its transit through the solar month. The opportunity for a new approach of strength and stability to bolster our physical and manifest surroundings is being offered.With Sun and Moon both in Taurus, earthly matters and mundane experience take center stage. How you feel and intuit you way through the mundane experience of life are receptive to reshaping and rebuilding of what anchors them in your physical reality. This is also the optimal space for beginning the work of healing and renewal with specific focus on those physical parts of self that are in a state of dis-ease or need an extra vaccine of immunization to keep everything working order. The Sun offers its light and strength of purpose to brighten up those flowing waters that connect you to the human experience. Financial matters, home affairs and those possessions and things that define your physical presence are the point of focus, as is your physical state and what that presence and persona wishes to make as its mark in the manifest world. 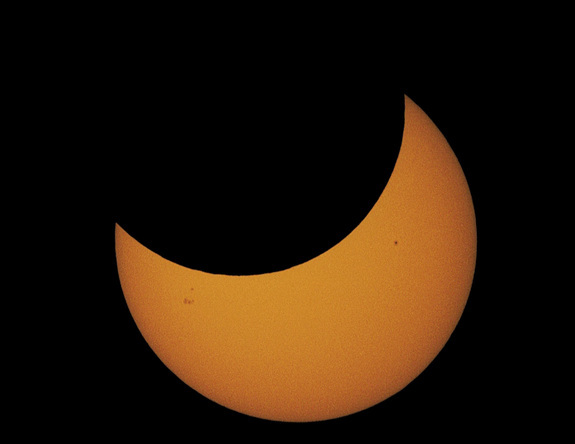 There is additionally, a Partial Solar Eclipse occurring with this New Moon. The astrological sign of Taurus is the first of the Fixed Modalities and one of the Four Holy Creatures in its elevated form. The Fixed Modality is the mid-station between what is newly birthed in the burst of Cardinal outpouring and what becomes the flexible and pliable essence of synthesis that is the Mutable modality. Each of the four Fixed signs of the Zodiac has within its stable container of structure the potential to reform and transform what enters into it and bring it to its highest expression. These higher forms are one of the meanings of the Four Holy Creatures of esoteric work. We’ll discus each of these more as we move through the solar year. For now, the focus is on Taurus The Winged Bull. I’ve chosen to interject this thought because of the Solar Eclipse and a deeper interaction between the Lunar and the Solar energies than what is usually the norm of the New Moon. The Winged Bull is the raising up of what would hold us rooted only in our physical and baser needs. The animal within would be unproductive in its application and survival at all costs would replace justice, morals and consideration of another’s needs; a few of the attributes that separate man from animal. The strength that we find within the earth and her offerings would be the only place of awareness and our connection to what lay above would remain dormant and un-evolved in its aspiration. The addition of wings to the pure mass, strength and instinctually driven bull as representation of these attributes allows a perspective of using these as the tools through which all is seen from above giving new points of reference and deeper meaning to our collaborative efforts with what surrounds us. Viewing our surroundings at ground level only offers a limited vantage point of distance. Even the slightest elevation sets into motion broader vantage of sight and interpretation of what has been newly added. The Winged Bull is bringing those aspects that make us most fully human/animal; retaining the strength and beauty of that affirmation and soaring above fully aware and apprised of their role in both spiritual and earthly matters. On this New Moon, dig your heels in deeply to what anchors you on this earthly plane as you make the necessary shifts in mundane priorities and the status quo. Stand firmly and with strength in regard to the new course of decision made about what is deserving of your attention in the physical realm. This new approach should meet the tests of feeling secure and stable; act to ground the mental chatter that would create indecisiveness and insecurities and provide new foundations to stand upon with higher vantage point. If all is aligned in a stable and supportive manner with intention of remaining anchored and rooted in what feeds your physical needs, the work done has the potential to bring what is rooted in base needs and manifest reality to a place of inspired intent that soars high above what the initial scope of what manifest form thought was possible. 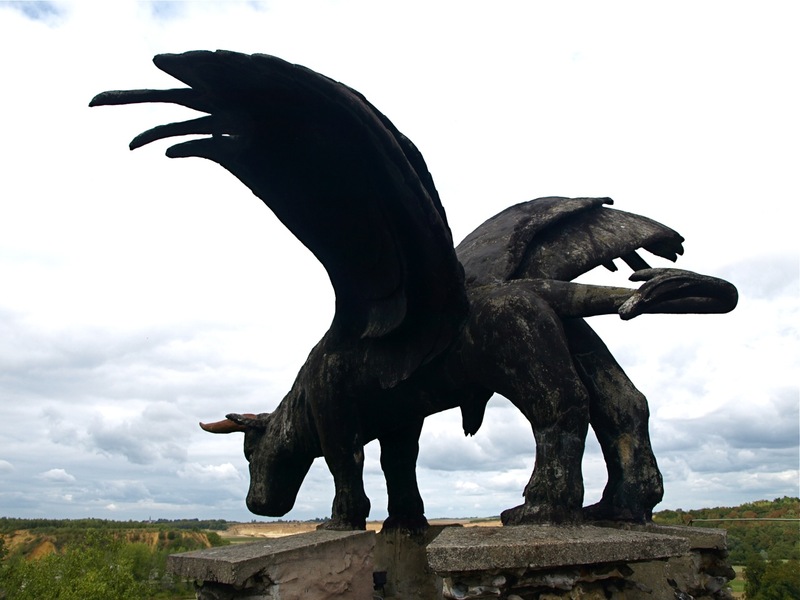 Note on Image of Taurus, the Bull: This statue of the Winged Bull is found atop a castle in Liege, Belgium, was built by Robert Garcet. The tower-museum is called the Tower of Eben-Ezer. It has seven floors and stands 108 feet high. The four turrets at the corners are topped with magnificent statues. In the Bible, Eben-Ezer is the stone of help, so Garcet chose to top his castle with the four cherubs of the Apocalypse: Taurus, north-west, Man, south-west, the Lion, south-east, and Eagle, the northeast. As we enter the Temple of the Sun, Qabalistically we are entering into connection with the central sphere on the Tree of Life, Tiphareth. The name given this sphere is Beauty and the energy is one of synthesis through sacrifice and integration through refinement of the sum of all of its parts. This is much the same energy that we experience in the course of a Solar year. The energy of each of the Zodiacal signs, their elements and modality are modified and expressed through the brilliance of the Sun. And, in keeping with the evolutionary process of movement from one sign to the next, each is informed by the previous sign’s energy and contributes a part of its dynamic into the sign that follows. Each of the Sephiroth and connecting Paths of the Tree of Life, holds correspondence with a planetary and/or zodiacal energy. The physical Sun stands centrally within our solar system, providing light and heat. Tiphareth provides the space of transformation and the full force generator that distributes what is processed so it may be utilized and transmuted by whatever it emanates its energy into. This is the sacrificial aspect of this sphere. This is the action of enlivening within its own source to ensure the continuation of the creative process begun within the other components of the Tree. So we begin in this central hub of universal energy and move out towards the flow of energy represented by the foundational anchor of the astrological sign of Taurus. Astrologically, we have learned that Taurus is ruled by the planet Venus. Venus also rules the astrological sign of Libra (Air and Cardinal Modality). This bears note when we look at Venus on the Tree. Her planetary energy is found in three places- the sphere of Netzach, Paths 16 and 14. With this duality of astrological rulership, the influence of Air (Libra) and Earth (Taurus) are molded by the energy of relationship, durability and striving towards flow of balance. Although one of these signs may take the lead in directing the expression and form of Venus’ energy, the other is always present as the informing silent partner. On the Tree of Life, the sphere of Netzach holds the pure energy that is the active principle of Venus expressed through earthy Taurus. The English name for this sphere is Victory. The work of Netzach is one of refining and balancing the energies of emotion and response to what has been achieved and what could be considered victorious about that achievement. The sphere of Netzach is the place of establishing the balance of hedonistic and aesthetic ideals. Love is the primary focus, but not at the expense of over indulgence in physical pleasure. These points of focus are all very Taurean in their energy, being firmly and concretely of the physical realms. This is also the place of expression of Love of Nature in all of her forms. The connection between beauty and the energies that are contained within the force of Nature is a strong one. Even in the Natural world’s more disruptive expression, the order and intelligence in design applied in her shaking free from her mantle those disruptions of energy is done with a sense of order, intent and aestheticism. Nature is expressed through Taurus in the overt attribution of an animal, the Bull, to its energies and the dominant theme of physical and manifest expression. This sphere is noted as the Vision of Beauty (and harmony) of nature and all of its components, human, animal, mineral and plant life. There is also a sense of appreciation of all the finer things and the highest ideals to be achieved. This is present in both the physical concepts of the sphere as well as the spiritual and etheric levels. This is the place of triumph over the baser self. Of organized effort to bring refinement and the orphic delights of the arts to fill the container or structure that is being created before it is released into the place of the intellect that can further define and order it. Netzach is assigned the element of Fire as is the Sun of Tiphareth. Within the energy of Netzach we can identity this Fire as that of longing, desire and the impetus that coerces the creative urge towards manifestation. This is the Fire that initially burns very hot and very bright but if not tended carefully will spread out of control and consume that which created it. Venus’ energy reigns supreme within this sphere with Taurus as an adjunct to that energy and although, Taurus is an Earth sign, the energy of earth is expressed through the Fires of Venusian interactions. Here the theme of Fire is that of the underpinnings that is the molten core within the earth. The Fires that heat the soil to quicken the seeds held within, which in turn stretch upward towards Sun’s light. 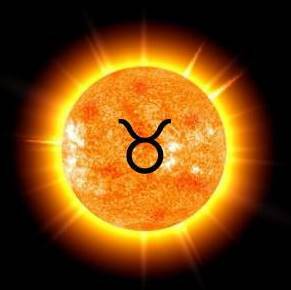 Although not directly connected via a path that is of Taurean or Venusian dynamic, Tiphareth and Netzach react and radiate one to the other through the 24th Path. The 24th Path represents the synthesis of the fire of the heart (Netzach) and strength of sacrifice (Tiphareth) working in dialogue and exchange with one another. If we think in terms of heart felt will and the courage of personality centered sacrifice, this is the action of moving from a place of balanced compassion (Netzach) that willingly offers its energy up to become part of a filtered and transfigured outpour (Tiphareth). The underlying strength of Turaus held in this configuration of Netzach/Venus and the Sun of Tiphareth is the process of regeneration that takes the raw stuff supplied and renews and restores each to its enlivened form. The spheres of Chokmah (Wisdom/The Zodiac) and Chesed (Mercy/Jupiter) are connected by the 16th Path on the Tree of Life. There is great determination (Taurus) held within the 16th Path. It is the upper most support of The Pillar of Mercy and in emanation downwards, what is cultivated within this path is what will later inform the interactions (Venus) between Chesed and Netzach. The energy of Earth (Taurus) within the 16th Path is that of durability, strength and control. The collaborative energies of Wisdom (Chokmah) of the mysteries of the creation of the cosmos(Zodiac) and the Mercy (Chesed) cultivated from experience, choice and expanded(Jupiter) perception from the foundations selected to coalesce these energies that are not only fertile but also prolific in their sustaining powers. The Hebrew Letter placed on the 16th Path is Vau, which means Nail in English. A nail is used as a tool of binding or attaching one thing to another. The expectation is that this attachment will be durable and long lasting and not easily pried apart. The same is true of the spiritual energy placed upon the 16th Path. As a connecting path on the Pillar of Mercy, this is the path of anchor and endurance. What is cultivated within the merciful being will be elevated to a place of access to what may spawn further creations of this sort. The nail acts to hold firmly these energies so that nothing may separate their dynamic energy as the flow of their combined truths move down into the manifest world of expression. We could summarize this energy in this way: The stable (Fixed modality) container of Taurus’ manifest form expressed in the refined and creative (Venus) aspect of merciful and benevolent emotion (Chesed) expands from its source (Chesed) and aspires upwards towards the cosmos (Chokmah) to co-mingle with the force of release and seeding (Chokmah) of all that sustains life and maintains order of the heavens and thus by its loving (Venus) reflection also on earth. The planet Venus is placed on the 14th Path, which connects the spheres of Chokmah (Wisdom) and Binah (Understanding). The 14th Path holds the honor of providing the base of the Supernal Triangle of the spheres Binah, Chokmah and Kether. This path is the place of polarization through the actions of Binah (Feminine) and Chokmah’s (Masculine) energies as the conception of what will be brought into manifestation as these coalesced energies emanate from Binah. This flow of energetic exchange is directed and towards a singular goal of unifying what lay in opposition to produce the space of neutrality where positive and negative give pause and ultimately produce the spark of creative outpour. This is the fecundity and fertility of Taurus as it supports the action of Venus. This path represents the element of Earth (Taurus) raised to the level of Divine action. Form has become formless in its ascent and what we conceive of as foundational earth, its structure and all of its evolving components have now evolved as the support and structure required for the blending of male and female, positive and negative, force and form. We think of earth as being the strength and the constant through which viable substance may pass and yield the fruits of that fertility. This is also true of the 14th Path. Through the support and structure of this path the fruits of emanation are yielded. If we consider the attributes of Taurus and its ruling planet Venus and their impact on the Tree of Life the prominent focus is one of anchoring in the physical experience. Taurus is the reminder of the joys and power in being manifest in form and having the ability to recreate that form of manifestation. 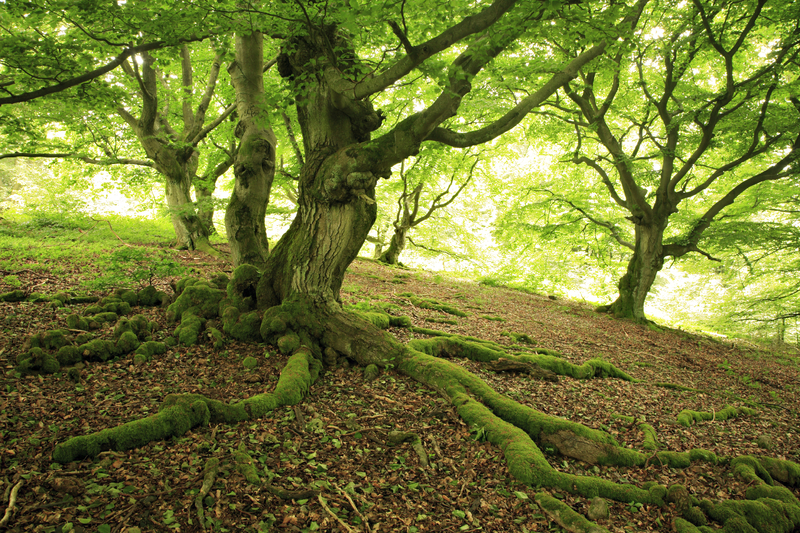 This is the space of fertility and the creation of an anchor of stabilizing and immovable (remember the stubborn Bull) nature of digging deeply in and strengthening the roots. As the light of Tiphareth (Sun) shines brightly and radiates its vision of magnetic attraction throughout the multilayered branches of a tree that reaches far and wide in its expanse and impact Taurus reaches deeply into the fertile soil crafting the foundational work that once begun takes root and spreads into all facets of your mundane experience. Weaving between air’s stagnant web. Fiercely to the rhythm of love. The astrological sign of Taurus is one of the element of Earth and the Fixed Modality. Taurus is also the first of the fixed signs which have dual meaning as the Four Holy Creatures (More on this in a special posting). Its planetary ruler is Venus, whose greater mystery is one of relationship and coming to a place of acceptance of all parts of your being. The natural energy of the Sun, that of shedding great light on whatever is in its spectrum is now poured into the earthy realms of what strives towards stability and structure through the power of great strength. This solar month has maximum potential for firming up what means we use and how we define ourselves as physical beings. The caution is one of remaining too long in standing your ground and holding onto to false definitions simply because you do not wish to disrupt the comfort of the status quo. The energy of Earth is creation of a solid foundation and deep connection to the physical world. Expressed through the sign of Taurus, Earth presents in a stalwart and at times stubborn approach, remaining steadfast and strong in conviction and opinion. Earth is the energy of the magnet that attracts to itself what it sends forth. Because earth defines the manifest world and all that is contained within, it draws to itself the power of manifestation itself and with the bolster of the Sun’s light and strength enhancing this fertile potency what is yielded becomes both the defender and the aggressor for what can be accomplished in manifest creation. The energy of the Fixed signs is one of stability that occurs in natural response to the initial burst (Cardinal modality) of movement disbursed by the sign preceding it. This holding space becomes one of permanence that functions then as the center point of synthesis and refinement of what has come into its field of dynamic form. The Fixed energy of Earthy Taurus is that of the place of grounding the fires that had been sparked and set anew by Aries. The symbol of the Bull for the Taurus is aptly expressed as holding its ground, ensuring that what comes into its space will receive the appropriate attention and focus of energy to bring it into manifestation. This attribution also relates to those things which connect us most deeply to the natural world and all that is gifted through physical manifestation. It is for this reason that all of the earth signs of the zodiac hold key to mastery of the mundane. Finances and those things that are acquired through our physical efforts are all enhanced by the natural fertility and potential for manifest expression that the Earth itself holds. enthusiastic outpouring of Aries, Taurus stands ready in its place of a fixed sign. The initial burst of enthusiasm (Aries) is now curbed and brought into form by the concrete solid container that is Taurus. Being a fixed sign, its nature is to hold strong and steady, albeit, immovable at times. This center of the road strength can generate a stable base from which growth of material endeavors flourishes and survives even in the most turbulent of circumstances. The symbol for Taurus is a bull. The choice of this particular animal gives great clue to the innate qualities of Taurus. Strength, sure footedness and earthiness by virtue of its sheer size offer the potential for an individual, who is stalwartly and commanding in their presence. Venus is the Ruling Planet of Taurus. The energy of Venus is that of beauty, harmony and awakening the emotional self. It is the heart that yearns for romance and connection. This energy supports social interaction and the overwhelming goal is to connect at a deep and often intimate level with those of our choosing. A natural love of beauty and great sense of aesthetic style enhance the home life and material endeavors of Taurus. At this time of the year in the Northern hemisphere, we see the potency of Taurus expressed as the earth greens Herself in preparation for Father Sun’s waxing heat. The vibrancy of the Sun and its strength of Taurean energy pours deeply into the earth itself. The work of Aries (and the Spring Equinox) was one of seeding and attracting the sun’s light and flame into the earth to enable the first buds to sprout. Taurus is the earthy container that will provide the anchor and prepare the way for each seed to blossom in its own way. 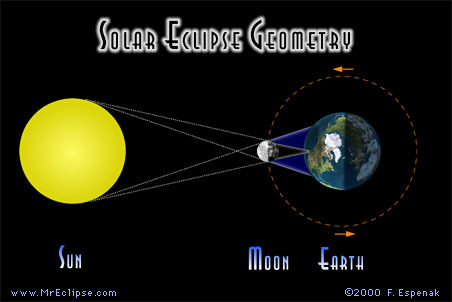 In the Southern Hemisphere the emphasis is the reversed as all make preparation for the waning of the Sun’s light. What had begun to be gathered as balanced harvest (The Fall Equinox) is now turned into the manifest forms of what will be sustenance during the winter. Grain becomes bread, vegetables are stored and preserved. What is taken from the earth and the fires of energy expended in reaping its product is stabilized and the planned rest of remaining steady in resolve is taken as the container is formed for productive result. Both are held in the steadiness and determination of Taurus and the strength and enlivening of Father Sun directing its focus. The goal is one of preparing and stabilizing the way for the next phase of growth and expansion when the Sun transits next into the Mutable sign of Gemini. This solar month is one of opportunity to dig deeply into the stores of your own resolve, purely for the sake of safeguarding and building upon them the foundation of what you hold as your place in the physical world. In the chronology of the Zodiac, this is the growth from the impetuosity of Aires fires into one of growing stability through the anchoring of Taurus. This is the work of the adolescent; learning their impact on the physical world that surrounds them and the point of holding firm in what they believe to be true of the world. This is also the time of testing what you know of your physical nature. The questions of the adolescent seek to know what each day will bring in experience. The future is one of trying on various costumes through play and imagination. These are the stuff that becomes the plans for what is finally settled upon as the child matures and readies for college and work. The mud pies created become the culinary delights of the master pastry chef. The fairy crown of leaf, dirt and flowers becomes the fashionista’s desire as designer sets to cloth the garments of the imagination. And, so in the spirit of Taurus and as we call forth the energy of the Sun as it continues its zodiacal cycle, I repeat the invocation that opened the Gate to this Temple. As you read through it think back to your adolescence and the stubborn and at time rebellious qualities you exhibited. Think back to digging into the earth searching for those gems of worm and insect or planting your first garden. Think back to the experience of full, healthy physical body running endlessly in the pure joy of anticipation of what lay beyond. Think back to the smells of the fresh damp soil as you rest lying in soft grass looking up at clouds moving swiftly overhead and feeling the fiercely beating heart that affirmed your youth, physicality and life. This is your strength and your foundation as you re-anchor and invoke the Solar power of this month in Taurus as you awaken those fires of RA within your own Earth’s center core. Next Posting: Sunday, April 26th. Tonight the Moon shines full in the astrological sign of Cancer. This is a water sign whose ruling planet is the Moon, so the energy is intensely emotional, flowing and healing in its application. Wherever emotions have dried up, become stagnant or are blocked will be under the watchful gaze of the intuitive moon’s eye. Cancer is a Cardinal sign giving the additional support to get those waters moving smoothly and unimpeded as the Cardinal action of initializing stirs the murky depths. The potency of this Full Moon’s energy lies in the ability to connect fully with those aspects of yourself that nurture and feel most like “home” to you. Being the first Full Moon of the year, there is great potential to reset the template we use to as our emotional response to our surroundings and those people within them. 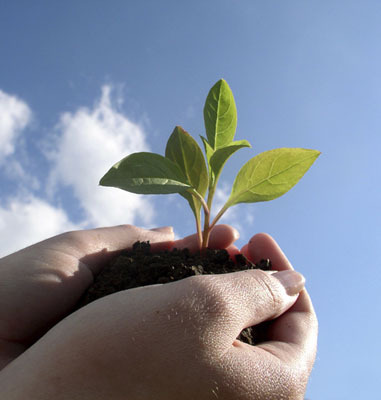 Cultivating strong and resilient emotional health is an important component in how we attract people and things that nurture and enable us to grow. A primary and natural directive of Cancer’s flow is to create stability, trust and love so that the individual may move through stormy and calm seas knowing that they are anchored and supported by friends, family and loved ones. An aspect that is often overlooked is that of self-care and self-love and the ability to “mother” yourself. Intuition or the “gut response” is developed when one allows the emotional tides to flow in accord with the natural laws that govern them, rather than setting up barriers and dams that shut down those gates of inspiration. Venus is still retrograde and the call to reach back to heal relationships and the way in which we are governed by our emotions acts as amplification to the depth of insight to be gathered during a Cancerian Full Moon. It is this subtle balance between looking back at what has supported and nurtured; releasing what has not and moving what remains into the fullness of Mother Moon’s loving scrutiny. It is the tenderness and ruthlessness of this Mother’s love that creates the multiple streams of flow, opening her children to deeper connection one to the other; yet all deriving their strength and filter from the same Source and space of emotional strength. When a Full Moon occurs, the Moon and Sun are in opposing astrological signs. 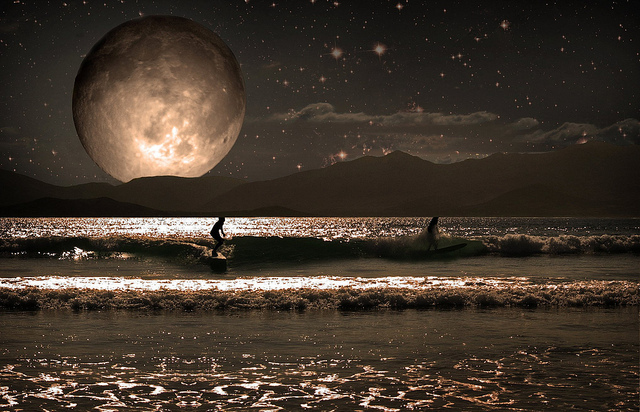 This Full Moon occurs as the Sun is in the astrological sign of Capricorn- the Sea Goat. Capricorn is an Earth sign and its energy is focused on creating stable and structured foundations that enhance the manifest and physical experience. The dynamics of this Cancer (Water)/ Capricorn (Earth) polarity offers opportunity to hold onto that place of structure, strength and anchor (Sun in Capricorn) as we extend our intuitive (Moon) and emotional (in Cancer) nature outward. 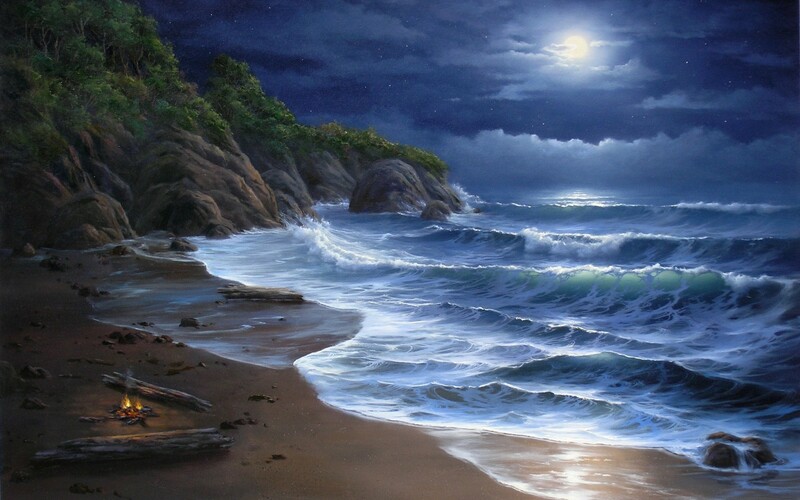 Imagine the waters of the ocean as the tides ebb and flow. As the tide comes in towards the shoreline it brings with it the bounty of whatever has been carried in with it. These shells, driftwood and sea creatures are caught in the continual flow that incrementally comes closer to the physical anchor of sand and shore. It enriches and adds to what has been previously accumulated and now acts as foundation. As the tide flows once again towards the immensity and vastness of the ocean, it carries with it some of these newly formed foundations. Particles of sand and more move out again towards the sea. This is the necessary cycle and this is the dynamics of opposites of movement working to support and enliven the other. The Water/Earth polarity that is held within tonight’s Full Moon can aid us in bringing into manifestation a balance of self-love and love for others; emotions that are strong and intuitively guided grounded in both earth and Divine wisdom and the reinventing of the place(es) we call home and those we can turn to for support as family. I would like to share with you a pathworking that may be used during this Full Moon’s energy as part of your personal working. It engages the elements of earth and sky, moon and your own inner sun of power. Relax your mind and body as you sit in a comfortable position. Close your eyes and take 3 deep breaths; slowly inhaling 1..2..3 and exhaling.. 1..2..3. Allow your body to establish a gentle, even rhythm of breath; taking you to a restful, peaceful state of consciousness. As your breathing becomes restful allow your consciousness to shift upwards; passing up through the ceiling of the room you are sitting in room and up through the roof of the building. Continue this ascent upwards and out into the moonlit sky. You are aware of the rooftops below and the velvety sky above. As you travel upwards you become aware of a thick brown and green mist forming around you. You become aware of the smell of rich, loamy, brown earth and you feel the texture and support of soft brown dirt beneath your feet. You realize that you are standing in the midst of a lush green forest with trees forming a canopy above and the support of rich brown earth underfoot. Take a moment to take in the smells, the energy and the feel of this perfect space. As you look towards the canopy of trees above you are aware of a glowing white orb slowing descending towards you. As this orb of pure white light descends to within arms length, you realize that this place and orb of healing light have been created to bind, contain and transform that which troubles or burdens you. Now, in this place of perfect grounding and trust, give form to those things that you wish to release. Give form to those issues and situations which cause you concern. Give form to all that you feel is of challenge and obstacle at this time preventing you from being your highest self. With intent and will reach out, gather these forms together and push them into the center of the brilliance of the sphere in front of you binding them together into this single orb of release. Once the orb is filled with all that you wish to release, reach out and grasp it in your hands, holding it outstretched and away from you. Take a moment and take note of the feel and the weight of it. Feel the energy of all that you released to it pulsing within. Slowly place the sphere into the softness of the earth below, pushing it deep within the ground and allowing the earth to absorb and transform that which has caused you concern. The Great Mother is taking this weight from you and offering you peace and relief. Brush the dirt from your hands and take a moment to savor the feeling of this lightness of being; of the weight of your burdens no longer a part of your being. As you think on this, you become aware of something shining in the moonlight, and as you take a few steps forward you realize that it is the reflection of the surface of a small pond a few feet ahead of you. 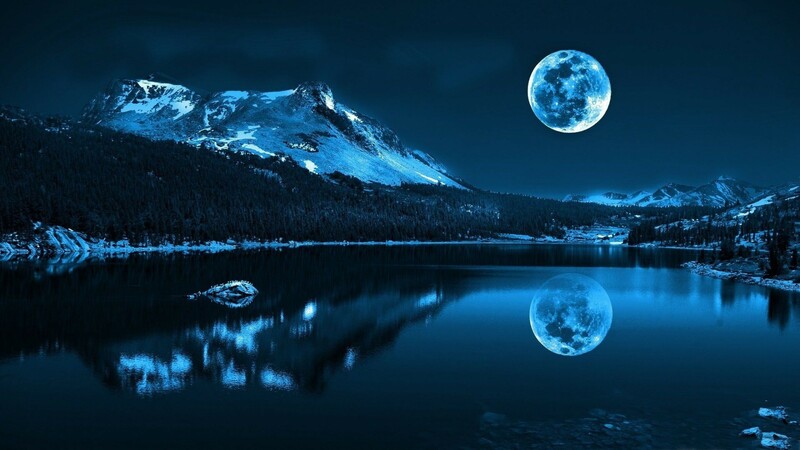 The water sparkles like diamonds in the moonlight and it radiates peace and serenity. You feel that if only you could touch it, and slide into the shimmering liquid that it would wash away all the remaining tension that you have. Slowly you remove your clothes and drape them over the nearby bush. You step to the edge of the water, sit down on the grass and dangle your feet in the pond, noting that the water is surprisingly warm. The pond is not deep, so you slide in and sit with your head against the bank your head gently resting on the soft grass at water’s edge. As you close your eyes and relax into the warm water you feel all of the tension and concern slipping away; drawn deep into the cleansing waters. Take a moment and truly feel the peace and calm enveloping you. Rest in the gentle support of the healing waters and feel every cell of your being opening to renewal. Something gently brushes against your feet and you open your eyes to see that a lily pad is floating towards you with something shiny on it. As the flower moves closer you notice a sparkling powder in the center. You take a little of the powder and wet it. It lathers and foams forming bubbles and you begin to wash your body with the foam. It tingles against your skin, energizing and revitalizing wherever it touches. Take a moment to relish the feel of this energizing foam and when you are ready slip down into the water and wash the foam from your body. As you wipe the water from your eyes you see that a goblet of fine crystal, filled with a golden liquid has been placed on the grassy edge of the pond. Curious, you take the goblet in your hand and hesitate a moment before lifting it to your lips. You only hesitate a moment because you know that you are in a place of perfect love and perfect trust and that all in this special place are gifts from the Goddess and Her world of Nature. You slowly tilt the goblet and allow the liquid to flow down your throat and you know intuitively that this is a liqueur of inner strength and self-confidence. The nectar that all have savored who would live their truths and stay strong on their course of purpose. As the nectar fills your being, turn your thoughts to how you would wish to be a stronger person. What truths you would wish to manifest in your life. What the essence of the truth in your heart is and the ways in which you could walk your path in deeper trust and greater love. As you finish the last drops of liquid you look around and now feel more solid, stable and more substantial and capable of handling any situation which may arise in your life. You gently place the empty goblet on the soft earth and put your clothes on; readying yourself to return to the physical world in a renewed and more loving state. You feel rested and imbued with inner peace. When you are dressed take another look at the pond and know within your heart that this place will always be waiting for you any time you have need. As this thought runs through you and you focus on the inner strength you now feel, you become aware that the pond and forest and earth are beginning to fade from sight. Everything swirling back into an olive colored mist and you feel yourself slowly descending down. You pass once again through the moonlit night sky and the tops of roofs become more visible as you descend downward. You pass easily through the outside of the building in which you began this journey and come to rest gently back in the room you started from. You become aware of your physical body resting comfortably in your room and as you gently allow your consciousness to slip back into your physical body you become more aware of the sounds, smells and energies in your space. Take a few deep breaths and when you are ready gently flutter your eyes open, returning to the here and now. Today marks the holding point before the incoming energies of Aquarius and the fullness of Lady Moon. It feels as though these energies are primed and ready to burst forth. It reminds me of how the overwhelming pressure of water on a dam at times proves too much; allowing the waters to break through flowing freely, strongly and of their own accord. The moon spent most of the morning hours in Capricorn, and I tried to fully embrace the proverbial scaling of the heights and reaching into the depths that typifies Capricorn. After working my Full Moon Ritual last night and calling on the energies of Cardinal Earth to anchor this work, I bolstered that goal this morning with a short meditation envisioning myself fully grounded and aligned with all parts of myself functioning like the buoy in the midst of a stormy sea. It rises and crests remaining intact despite the chaos and disruption surrounding. Ironically, today is Sunday so I am turning my attention towards the tasks to be accomplished for the week, the reaching out that is required and the social collaboration that is needed. All of this on the evening before the Moon reaches its fullness in the sign of Aquarius-the global citizen with foci of attention on the greater humanity. With most of the day having been spent with the moon void and transiting from one sign to the other, I am feeling as though today is the last day to ride the waves of Cancer’s crests. This void is the neutrality before entering its new sign. The Sun is positioning to leave the sign of Cancer tomorrow and will enter the astrological energy of Leo for whom it is the ruling planet. So, I will gather all the skill I have honed attuning to the strength of the Sun’s light shining fully in the intuitive mysteries of the lunarscape of Cancer and see where my point of balance has shifted so I may continue the movement forward with each rising of the emotional waters as this journey continues. The morning saw the moon in its void state, so integration and holding steady are the goals. I relaxed into the flow and the morning was quiet and peaceful in contrast to the edginess I felt the past two days. The Moon transitioned into the astrological sign of Capricorn at 2:39pm. Capricorn is a Cardinal sign (first outpouring) and of the element of Earth. There is the scope of expanse that is typical of Capricorn; often considered the Seagoat- who can traverse the earthy spaces and depths of the oceans and has the sure footed ability to navigate to the heights of the tallest mountain. Earth relates to the physical and mundane realms and Capricorn’s ruling planet of Saturn is the great keeper of time and master regulator. Pulling all of these energies together lends itself to having stability as the starter for your efforts, but beware of inertia and over calculating every action. Tonight I did the Full Moon. My intentions were that of anchoring the work that has been accomplished with this project in the fullness of its expression. Using the energy of Capricorn held the intent of anchoring it in the physical with option of expansion and being held in a space that is time no time- eternal and structured. Using this Cardinal energy will carry forward the seeds that have been planted towards deeper connection to my emotions and intuitive nature as the Moon waxes full in Aquarius on Monday. In natural order of the astrological wheel, the flow of movement and maturation moves from burgeoning earth (physical) towards mind that is informed by all the lessons that have been brought forward through the other signs of the zodiac.